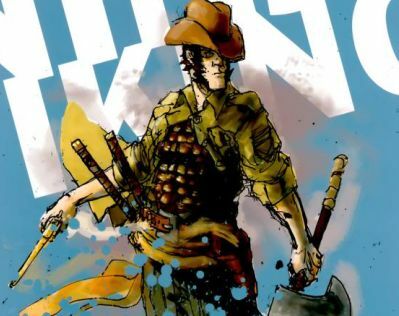 Earlier this week, Collider reported that Guardians of the Galaxy‘s own Chris Pratt would play the lead role in the comic book adaptation Cowboy Ninja Viking, and now Pratt has seemingly confirmed the casting on his Twitter account. World War Z and Quantum of Solace director Marc Forster was previously attached to helm the picture but is no longer involved. Now that Pratt is officially attached, it shouldn’t be too hard to find someone willing to work with him in another comic book adaptation. The original series by A.J. Lieberman and Riley Rossmo centers on a counter-intelligence unit composed of agents with multiple personality disorder known as triplets who have been converted into assassins, leaving just one Triplet to stop them, the Cowboy Ninja Viking! Zombieland‘s Paul Wernick and Rhett Reese wrote the script for the adaptation, which is set up at Universal, currently without a release date. Check back here for more details on Cowboy Ninja Viking as we learn them.